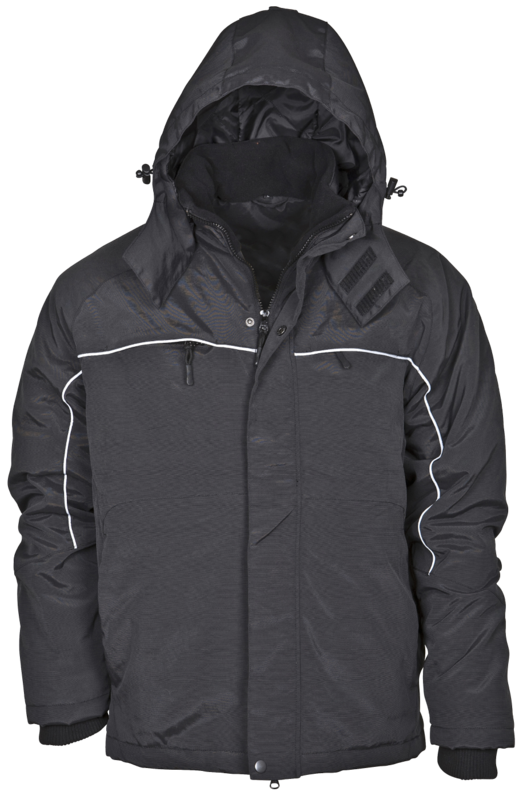 Fleece-lined collar with detachable hood. Knitted internal cuff at wrists. 2 breast pockets with zippers and one ID card pocket. Two front pockets with zipper lined with fleece lining, three inner pockets, one of which is a phone pocket. Two-way front zipper and reflective piping. Material and weight: 100% polyester. 200 g/m². Warm-lined with quilt lining.